I’m at home bored and I just came up with this colourful ombré liner look. It’s very different but I like it! What do you think? I like it very fun. Girl me too!! Once I figure out some technical difficulties I’ve been having.. I’m going to be all over the spring colors!! wow this is gorgeous! do you know which number/style the H&M lashes are? so beautiful! sooooo sharpppp i love it!!! That’s so beautiful! I love all the different colors. Wish i could pull that off! just beautiful, you’re very talented! LOVEEE IT LOVE EVERYTHING ABOUT IT ! pretty!! totally loving the color combination! This is beautiful. I love it. The lashes are perfect for the eye makeup. That look is bananas! You should definitely rock that to a club/lounge or concert. LOVE. LOVE. LOVE. LOVE. LOVE. This look. Get the picture?! OMG, super pretty! love it! 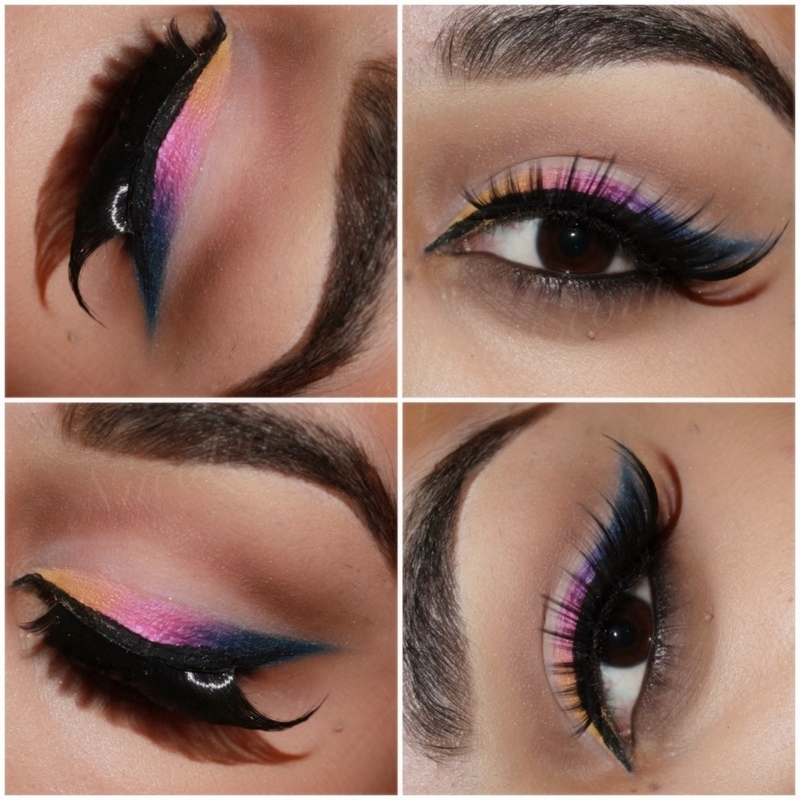 This look is gorgeous! I want to learn how to do something similar to this. I aprpeciate you taking to time to contribute That’s very helpful. So pretty! Would be perfect for spring and summer. The colors you picked look awesome together! Thanks pretty girl! I love your blog!! keep up the good work! So are you at least going to show us how to do it?